Weight training combined with a protein-rich diet can help to keep your body performing at the top of its game. But even with a strict fitness regimen, you may struggle with stubborn pockets of fatty tissue in areas such as the stomach, love handles, and other regions traditionally resistant to diet and exercise. While there are surgical options to reduce fatty deposits, including liposuction, these procedures are typically associated with extensive downtimes and long recovery periods. 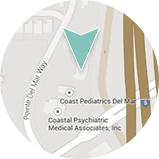 If you’re searching for a non-surgical, non-invasive alternative, UltraShape® treatments at Dermatology & Laser of Del Mar may be right for you. As we mentioned in our previous post on the benefits of UltraShape®, the state-of-the-art method uses ultrasound energy—not heat, cold, or lasers—to break down lipids (fat cells) and process them out of the body. 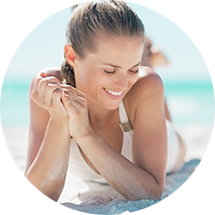 Painless, fast acting, and permanent as long as you stay healthy and maintain your weight, UltraShape® offers an excellent option if you want targeted body contouring with no downtime. In most cases, you will require approximately three UltraShape® sessions to achieve your desired outcome, one each week; however, this will depend on your unique anatomical needs and expressed goals. Our staff will help you develop a customized treatment plan during your initial consultation, and you should feel comfortable asking questions and discussing any concerns. You should not feel any pain or discomfort during the procedure, and most patients can return to normal activity immediately following the treatment. Side effects are typically minimal if they develop, and usually present as some mild swelling in the treated area. This should subside within a few hours. Of course, the best part of UltraShape® may be the rapid results. Visible improvement generally occurs after about two weeks, with full results apparent a few weeks after the final session. For more information about UltraShape® for men, or to schedule a one on one consultation, please contact us today.